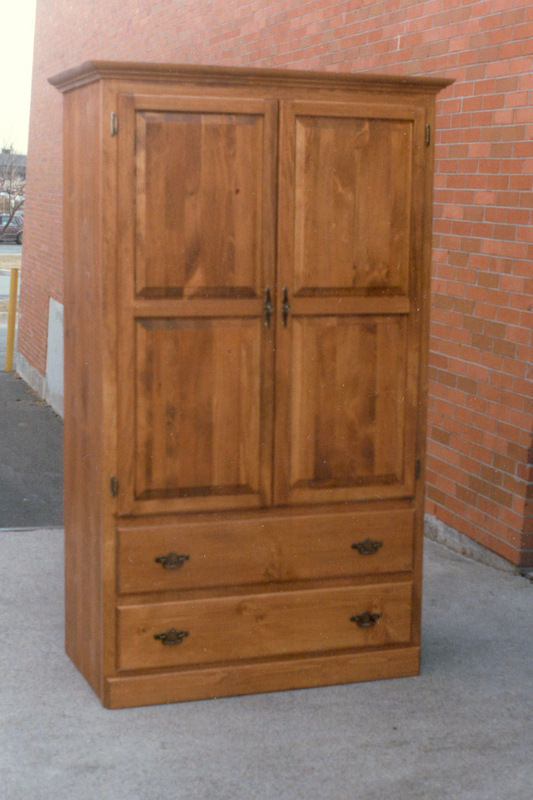 This armoire was typical for homes without walk-in closets. It’s also great Early American decor. 36″ wide, 72″ high, 22″ deep. Solid pine. The highboy below was more typical of what would go in the children’s bedrooms. 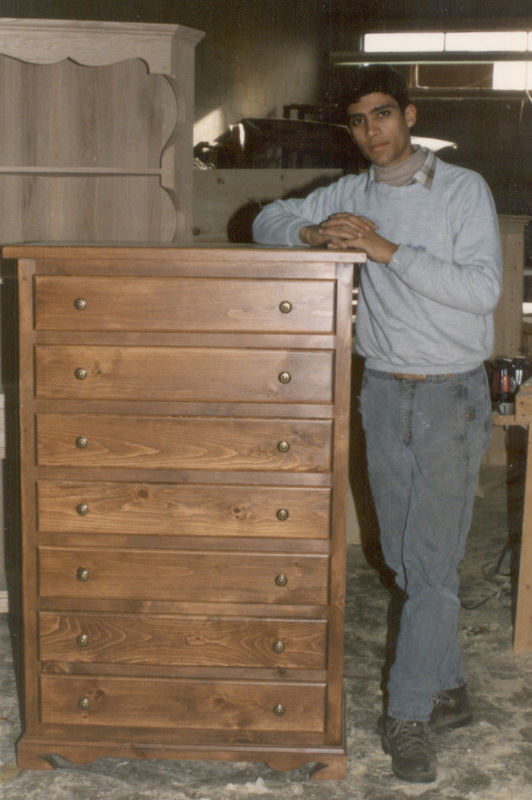 Colonial highboy with slight Shaker influence. Solid pine. Approximately 32″ wide, 54″ tall, 18″ deep.